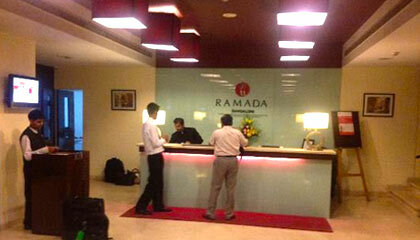 Ramada Bangalore is located close to the railway station. 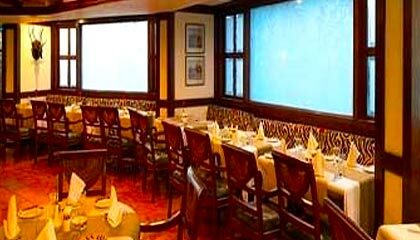 Ramada Bangalore is an enchanting deluxe hotel that provides the visitors a comfortable, soothing, and affordable stay in the Garden City. 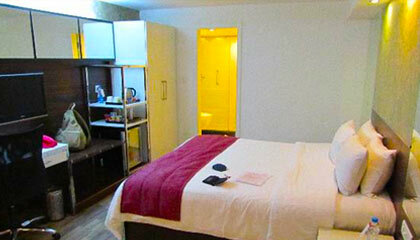 Sited on a prominent location of the city, the hotel offers an easy access to all the places of tourist interest and business district in the city. 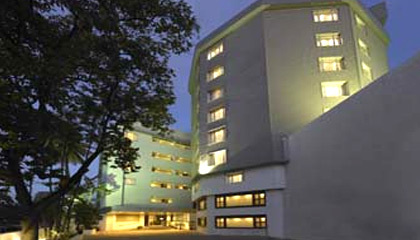 The hotel features an exclusive architecture with a sophisticated, yet relaxing ambiance to make each stay a pleasurable experience. 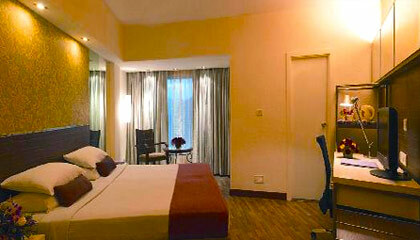 Its rooms deliver a perfect fusion of comforts and luxury that ensure utmost privacy and convenience to the guests. 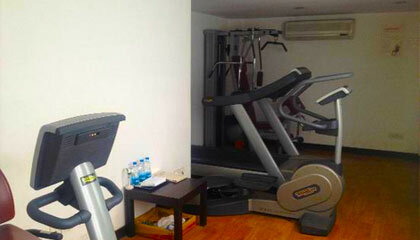 The hotel makes all the facilities and services available to the travelers to satisfy their corporate requirements or recreational needs. 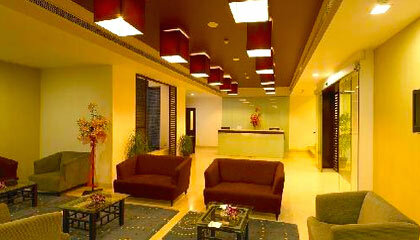 Whether on a business trip or holiday making, Ramada Bangalore allows you to enjoy your stay to the fullest. 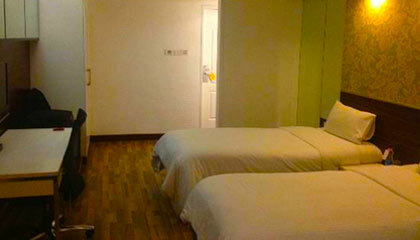 The hotel offers 83 delightfully adorned rooms, classified into Studio Room, Standard Room, Deluxe Room, and Suites. 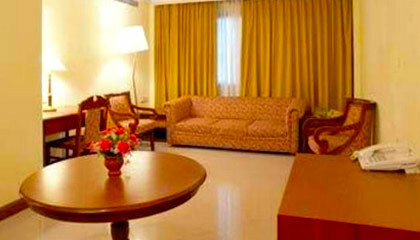 Each room is outfitted with all contemporary amenities and offers a pleasant ambience. 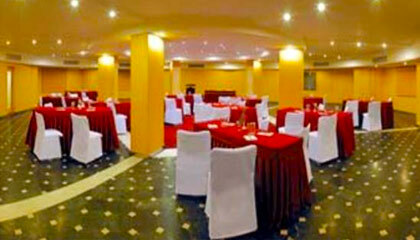 Tiger Trail: A stylish restaurant offering lip-smacking North Indian, Oriental and European cuisine. The Bar: Chill out with a selection of Indian and Imported liquor brands.